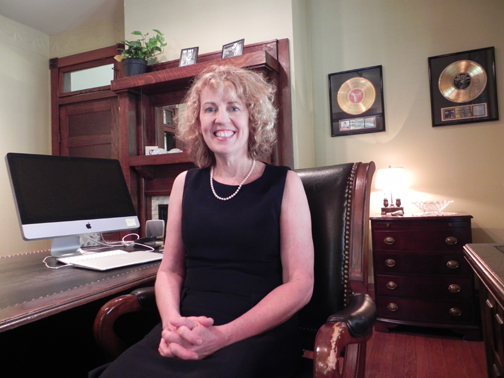 Alison Prestwood found success in the music business, then reached even greater heights at Nashville School of Law. Today, she practices law at the same desk her father used during his long legal career. There’s no motto hanging over the entrance to Nashville School of Law. Translated into Latin, of course. As Tennessee’s only part-time, independent night law program, Nashville School of Law has, for more than 100 years, been turning out a stream of lawyers to populate every level of government, the courts and judiciary, as well as law firms and private practices across the state. NSL targets adults who work full-time while working toward their law degree, and its students include everyone from doctors and police officers to waitresses, songwriters and legislators. As one of the state’s most enduring institutions, its alumni include Sen. Al Gore Sr., who graduated when it was known as the Nashville Night YMCA Law School for the building in which classes were taught. “Our mission hasn’t changed since 1911, and that’s to provide quality, affordable legal education with classes at night so those who might not otherwise be able to go to law school can,” says Associate Dean Virginia Townzen. That describes musician Alison Prestwood, who began law school at age 48. A bass player who has toured with artists including Patty Loveless, Rodney Crowell and Shawn Colvin, the Alabama native had a long and successful career as a session player on Music Row. But by the early 2000s she saw her income declining as the music industry contracted and “For Lease” signs started replacing the “Number One” banners on Music Row. She adored playing music. Being a musician in Nashville, she says, is like nothing else. But law, the profession her father loved just as much and practiced for 50 years, began to emerge as Plan B. “I thought, ‘Do I really want to go down with the ship, or do I want to try something else?’” Prestwood says. Prestwood applied to NSL because it was the only school where she could keep playing music while studying. The very first day of law class was Prestwood’s 48th birthday. It was also the day her father died. He had graduated from law school first in his class. She vowed to do the same. Over the next four years, Prestwood maintained a full-time work schedule as a musician, taking every session offered while also working part-time as a paralegal. During sessions, she’d prop her studies on the stand next to her music charts and sneak in studying while the others were working out their parts. She kept her studies a secret for two years, not wanting to miss a beat. At one point, on tour with Olivia Newton-John, Prestwood flew to Nashville after a show to take a law exam, then hopped another flight to rejoin the tour. “Over four years, I didn’t have a life. I had super high expectations for myself so I lived it,” Prestwood says. The determination and sacrifice paid off. Prestwood not only graduated first in her class, she posted the highest grade point average (3.87) in the 102-year history of the school. “I believe Daddy knows,” Prestwood says of her late father who loved the law. The last time she saw him, she says, he had a stack of redwells (legal files) next to his hospital bed. Prestwood’s story is far from unique. NSL classes include students who travel from both ends of the state to attend. Most are working full-time. Many are raising families. There have been students whose employers never found out they were in law school. And more than a few have dealt with cancer, heart disease or death of a child – and still graduated in four years. “Life goes on, or not. We just deal with what life throws at us,” says Dean Townzen, who continued her own teaching career while attending NSL. Townzen practiced for four years before being hired as associate dean. Because NSL is accredited only in Tennessee, graduates cannot sit for the bar or practice in other states, although there are some reciprocity exceptions. Nashville attorney R. Eddie Davidson, a civil litigation instructor at NSL as well as an alumnus, plays the role of judge in moot court. Arguing a motion before Davidson is student Carter Conley. They take the same number of class hours as students at law schools accredited by the American Bar Association. In fact, the school meets all ABA guidelines for accreditation except for employing full-time faculty. But the faculty, which comes from the ranks of working judges and lawyers, is a veritable Who’s Who of some of Nashville’s most prominent and respected practitioners, many of whom have taught the night classes for years for sheer enjoyment rather than compensation. “The quality of the faculty is excellent,” says Jim Judkins, a general practitioner in Smithville who graduated in 2009. The roster includes Marshall Davidson, a longtime staff attorney for the Tennessee Supreme Court who teaches advanced torts, Donald Capparella, a civil litigator and appellate lawyer who has served as counsel in some of the state’s most complex and precedent-setting cases, and John Baird, who teaches property law and has extensive experience in commercial real estate transactions. 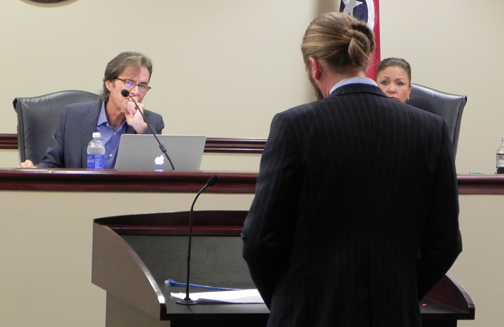 It also includes Criminal Court Judge Steve Dozier, who teaches second-year evidence, and Seventh Circuit Court Judge Randy Kennedy, who teaches wills and whose court hears all of Davidson County’s probate and estate administration cases. Both are NSL grads. “That’s one of the benefits for sure – not only knowing these people when you go into their court, but they bring a dose of what’s really going on [in court] into the classroom,” Prestwood says. The school’s focus on practical skills is central to its mission. NSL students get extensive trial practice in moot court, a mandatory two-year-long required course, not a semester-long elective as some schools offer. In their third year, students learn the basics of performing a trial – discovery, interrogatories, filing motions – and in their fourth year they appeal their cases to a Court of Appeals made up of non-faculty attorneys and judges. The experience is intensive and pulls together everything students have learned about evidence, criminal procedure and civil procedure. It also gives students an edge over other new attorneys. “When our new graduates meet an ABA law school new graduate, we beat them every time,” Townzen says. The lack of accreditation outside the state doesn’t matter to most graduates, who have no intention of practicing elsewhere. “I wish it were accredited, but for me personally and how I was going to practice, it didn’t really matter,” Prestwood says. After spending four years of counsel at Puryear, Newman & Morton, PLLC, a small firm in Franklin, Prestwood joined with family law attorney Lori Reid to set up shop in a charming house off Main Street that was once the home of bluegrass musician Allison Krauss. Academic degrees, certificates and awards hang on the wall, set off by two gold records. A guitar and amplifier sit in a corner. In addition to handling family law, entertainment law, copyright, probate matters and civil litigation, Prestwood still plays sessions a couple of times a week. “If I’d gone to school at 30, I would have missed so much,” she says of pursuing her JD later in life. And now Prestwood’s client list includes many of her fellow musicians. Despite its affordability – tuition is less than $6,000 per year – NSL has seen a decline in applications, just like most other law schools. And competition among ABA-accredited law schools for the best students has upped the ante on scholarship money that NSL can’t match. For most of its history, NSL operated on a traditional one-term basis with classes entering in the fall. Ten years ago, during boom times, applications were so high that NSL started a second term, allowing one class of 1Ls to enter in the spring and another in the fall. The spring term classes were held on Tuesdays and Wednesdays so that those traveling from out of town would only have to spend one night in Nashville. But that dual-term system may not survive next year. But she emphasizes that while the terms may change, the school that has survived over a century will never go away. “Nashville School of Law has been here for 100 years, and it’ll be here long after everyone here is gone,” Townzen says.